A hot tub is a large tub or small pool full of heated water used for hydrotherapy, relaxation or pleasure. Some have powerful jets for massage purposes. 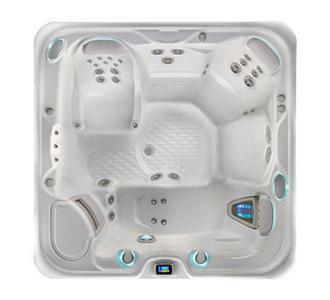 Hot tubs are sometimes also known as spas or by the trade name Jacuzzi. In contrast to a typical bathtub, a hot tub is designed to be used by more than one person at a time, with many models accommodating four people. Hot tubs are usually located outdoors, although they can be installed indoors. Also, the water in a hot tub is not changed with each use, but is kept sanitary using methods similar to those used for swimming pool sanitation. Another difference between baths and hot tubs is that soaps and shampoos are not used in wet-jetted hot tubs (although they can be used in air-jetted hot tubs). Contact 0123699012 (Winson) for FREE QUOTATION now!